Home, penned TS Eliot, is where one starts from. It is the reason why Winston Reid will be looking to put on a show for his family and friends when West Ham United travel to New Zealand next month. The Hammers defender was born and brought up in the Auckland suburbs until the age of eight, when he uprooted to Denmark. While he has spent the majority of his life away from home, Reid has retained strong ties with the Land of the Long White Cloud, returning regularly and being appointed national team captain in 2013. This summer, the player will enjoy the new and welcome experience of representing his Club on home turf, with dozens of his friends and family members expected to attend the Football United Tour fixtures against Wellington Phoenix and Sydney FC. "It's going to be nice for me personally to go back," Reid enthused. "The majority of my family live there and it's where I'm from. It'll be nice for the boys too, to experience a different part of the world. I only normally get the opportunity to play in front of my friends and family for the national team and now I get to do it with my Club as well, so it's going to be enjoyable for me." It has certainly been a colourful journey from North Shore to East London, notes John Aizlewood. In 2011 Avram Grant’s reign at West Ham United ended with the double ignominy of relegation for the club and a P45 for him in the players’ tunnel at Wigan Athletic’s DW stadium. Perhaps, though, the seeds were sown as early as the season’s first game at Aston Villa. Grant had admired Winston Reid, New Zealand’s man-mountain centre-half, in the 2010 World Cup and promptly prised him from Denmark’s Midtjylland to Upton Park. The new acquisition- the sixth New Zealander to play in the English Premier League- so impressed Grant that Reid was thrust straight into the starting line-up. At right-back. "I’d never played right-back in my life," he sighs. "What could I do? I’d only just come into the club so I couldn’t really say anything." Reid did not have the happiest of debuts. Ashley Young and Stewart Downing tormented the 22-year-old as Villa won 3-0. The travelling fans wondered 'Winston who?' and 'Winston why?' and Reid would not make another Premier League start for six months. He can laugh about it now. "Hey, I got to try out being a right-back: it helped me mature as a player and a person," he says. After a traumatic season and with Championship treks to Barnsley and Doncaster looming, Reid contemplated leaving. "I did, but I also thought, 'I’ve got myself in this situation, so it’s up to me to get myself out of it'. When Sam Allardyce arrived we sat down to talk. After that, it felt good, I felt wanted and I wanted to stay. He’s great and wants things done properly on the pitch. Off it, he’s given me a few kicks up the backside but he’s really funny, he makes us all laugh." Reid began the 2011-12 season in the first XI, partnering James Tomkins in central defence. Nine months later West Ham were back in the Premier League and those doubting fans had a new tough-tackling, positionally aware hero. Now he’s even recognised on the street: "It’s no problem, people come over for a chat and they’re welcome." That summer he spurned the opportunity to play for New Zealand at the Olympics to ensure he was ready for his Premier League rebirth. "Oh, I’d loved to have gone but from my point of view it was better to stay here and prepare. I’m sure the opportunity will come again," he says. Curiously Tomkins did participate and following some noticeably wobbly performances would spend much of the ensuing 2012-13 trying to shake off the effects. Meanwhile Reid progressed so quickly over the same time period that Allardyce anointed him as his "key" player. Arguably his best season in a claret and blue shirt, he was rewarded for his form on 8 May 2013 by being named Hammer of the Year; only the third player from outside Europe to win the award. 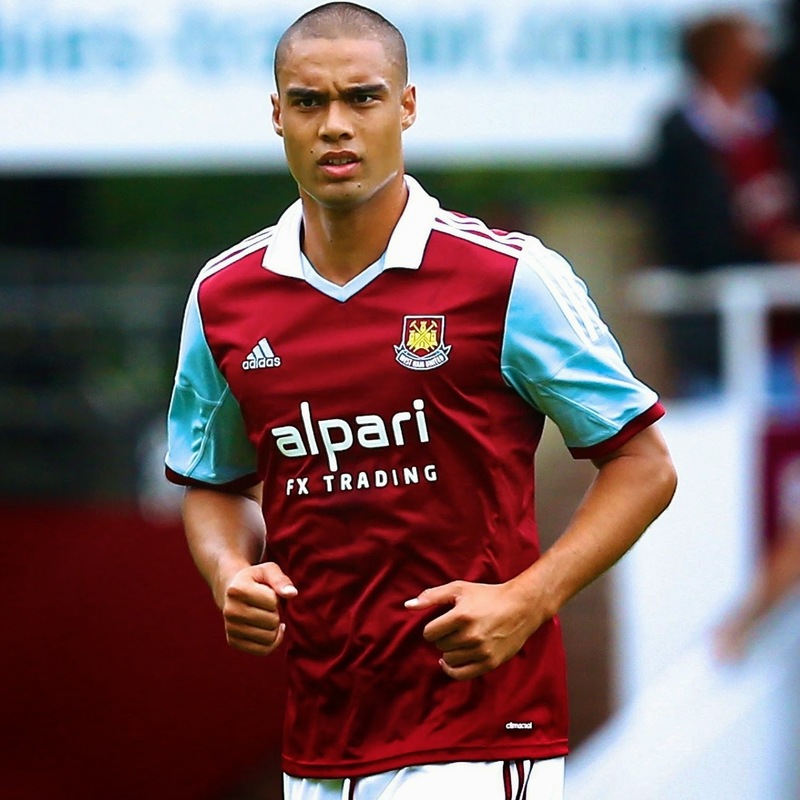 Naturally, West Ham extended Reid’s contract, which was due to expire last summer, until the end of the 2014-15 season. "I’ve always believed in myself but the most important thing for me is playing week in, week out," he says. "Then you can get into a rhythm. It was frantic in the Championship but I used that season to acclimatise." As roads go, Reid’s has been long and winding. A Maori (his middle name Wiremu means 'determined protector'), he spent his first decade on New Zealand’s north island. "It was certainly hotter than here," he laughs. If his earliest memory is playing football as a toddler with his father Lyle in the backyard of their North Shore home, it his mother who Reid credits with kicking off a lifetime passion. "I was too scrawny for rugby so I played golf, tennis and basketball. My mum got me into soccer." In fact, young Winston was a shy four year old when his mother, Prue, showed up with her son at Onepoto Domain in the autumn of 1992. "As a rule we don't accept any four-year-olds, but his mother pleaded with me to give him a go because he was very keen to play," remembers the Takapuna AFC coach Joe Boyle. "After getting him to kick a ball to me a couple of times it was obvious that his determination and skill factor was just as good as any of the five-year-olds in my team." Boyle remembers that Reid did not stand out for his physical presence, but always managed to match it with older players due to superior skills and a winner's mentality. Even though he may have grown into an intimidating central defender in the 1990s, the youngster was often one of the smaller players in the team. "Winston trained very hard and practised his football skills all the time, so soon he was the best player in my team," recalls Boyle, who played him as central midfielder. He also took the goal kicks and had a good eye for goal. "When he was only eight, we played on full-size pitches, so I got him to take the goal kicks because he could already clear the halfway line and put us on attack. It was not uncommon for him to score from well outside the penalty area." Athletes who eke out a professional career often possess a natural excess of determination, attitude and commitment. Boyle said Reid had plenty of it and was not surprised his protege had made a successful career for himself. "In all those years he only missed one game with us, because he was in hospital with an asthma attack." The fertile partnership nearly came to an end when Reid's best friend moved to another, bigger club. "I said to Prue that although I would be disappointed, I couldn't stop him [going]," remembers Boyle. "But she told me 'he's not going anywhere, he has to learn about loyalty and that he's not going to get it any better anywhere else'." Prue was Winston's No1 supporter and was happy to help to manage the team for many years. Indeed, Reid's idyll- the coastal suburb boasts a 6km crescent-shaped beach with translucent turquoise waters- was only shattered and his knack of adapting fostered when his mother remarried in 1999. The family moved to Sønderborg, a small Danish town on the Baltic, near the German border. "I’d been used to sea swimming all year round at North Shore," recalls Reid. "In Denmark we lived 100 metres from the sea, so during our first April I told my mum I was going for a swim. She just smiled. I didn’t try that again: it was so, so cold." Experiencing no racism ('Danes are pretty open-minded"), he settled in quickly. Only English was spoken at home but, aided by the national policy of one-on-one lessons for non-Danish speakers, he was fluent in his new land’s language within 18 months. That scrawny kid had a growth spurt and the nippy striker ("I used to score a lot of goals") became a winger and then a central midfielder. "I just didn’t have enough lungs for central midfield," he admits. Having decided by 15 that football would be his life, he tried centre-half and, Grant’s intervention notwithstanding, Reid found his role. Reid signed a youth contract with SUB Sønderborg, and in November 2005 dropped out of school after being offered a full-time contract at FC Midtjylland, of the Danish Superliga. 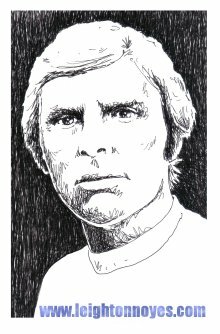 The club were formed in 1999 after a merger between Ikast FS and Herning Fremad, where, by coincidence, Bobby Moore, Reid’s most illustrious predecessor, concluded his playing career in 1978. "I didn’t know that," smiles Reid, delighted by the thought. "I never saw him play but you can feel his presence. He’ll always be part of the club." One of the first players to graduate from FCM's football academy, the first of its kind in Denmark, Reid came through the system alongside Midtjylland teammates Jesper Weinkouff, Christian Sivebæk and former teammate, Simon Kjær. Aged 17, Reid made his FC Midtjylland debut in the Royal League tournament against Norwegian side Vålerenga in a 4–0 win. He made his league debut for FC Midtjylland coming on for David Nielsen as a substitute in the 78th minute. Playing few games in seasons 2005–06, 2006–07 and 2007–08 it was not until season 2008–09 that Reid made 28 appearances and scored his first goal against AaB Fodbold in a 3–2 loss and scored his second in the league in his next match against AC Horsens in a 3–1 win on 5 April 2009. When Midtjylland came within a penalty shootout of knocking Manchester City out of the Uefa Cup (Reid blasted his past Joe Hart), the wider world began to take notice of the by now Denmark Under-21 international. Carrying dual citizenship through his stepfather Jens Bjerregaard (another credited for fueling his footballing passion), Reid had also played for Denmark at under-18 and under-20. It seemed only a matter of time then before he would make his senior debut for the De Rød-Hvide. Then Fifa changed the rules on eligibility and New Zealand qualified for the 2010 World Cup. Something twitched in Reid. He wondered what it might be like to play for his country of birth and his country wondered whether he might entertain the idea. He did. He followed a "gut feeling" and felt, as a Maori, he needed to play for the All Whites. "Of course I had doubts [about switching allegiance]," he says. "I weighed up my options for a long time and I think I have made the right decision because of the feeling in the team. It was difficult for me in the beginning. I was new to the team and I just wanted to feel my way into the team. But the World Cup was awesome. It's the biggest stage a footballer can be at. It was great being there with New Zealand." He was 21-years-old when picked sight-unseen by now departed national team coach Ricki Herbert - you do that when a player is linked with a host of Italian Serie A clubs, including Fiorentina, Palermo and Sampdoria, and was assured to be playing in one of the top European leagues in the near future. "He's been a great coup for us," Herbert says. "He's only a young player and no doubt internationally he will progress. But he's got a great heart and he slotted into the team really well." So well in fact Reid sent the country into raptures when he headed home a goal with seconds remaining to tie their opening 2010 World Cup match against Slovakia 1-1; the first point the All Whites had ever claimed at a World Cup tournament. After scoring "the most important goal of my life", the Danish Maori ripped off his shirt, ran towards the corner flag and was swamped by his entire team and every reserve player. When the white mass untangled, South African referee Jerome Damon presented him with the obligatory yellow card for taking off his shirt. "It was worth it," he said laughing. "Something for the scrapbook." His parents had been in the Royal Bafokeng Stadium, in Rustenburg to witness the momentous event and back in Auckland the rest of his family couldn't believe their eyes when their boy scored. "We didn't realise it was him because he plays at the back and we weren't expecting him to be there," recalls his aunt Susan. "Then suddenly my husband said, 'It's Winston', and then he ran past with his shirt off and I thought, 'Yes, I recognise that boy'." Reid's father, Lyle, still living in Papakura, stated he couldn't believe his son had scored. "My foot nearly went through the floor and my head just about went through the ceiling." But then, as Michael Brown points out, "Winston's always been a player who makes things happen, and things happen around him. He is all power and athleticism, topped up by a dash of cleverness and occasional youthfulness. He can dive in needlessly but then make up for his mistake with a timely tackle." Given his new found hero status it was perhaps inevitable that within three years the West Ham United defender would be taking over the national team armband previously worn by Ryan Nelsen, who hung up his boots last year to be coach of Major League Soccer side Toronto FC. A well-liked member of the All Whites squad, Reid's was a popular choice to lead the team forward. "There was a couple of giggles when Ricki told them, but they've all been good about it," he admits. The appointment continues a rapid rise for Reid as a player and a leader. The quietly-spoken 25-year-old already has experience of captaincy, having been stand-in skipper for his English Premier League club. 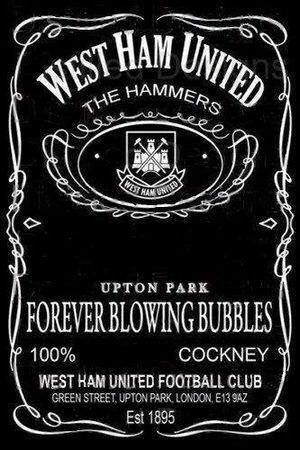 He says the most important thing he learned when leading the Hammers was 'just being yourself'. "The main thing is being honest, saying your opinion and just working really hard, really," he said. "They're the main attributes I bring to the table." He knew he had big shoes to fill in succeeding the hugely respected Nelsen and was looking forward to the challenge. "I was very privileged to be a Premier League captain for a side like West Ham," he said. "Now I've got the responsibility of doing it for New Zealand. It's a great honour to captain the national team and me at a young age also." That responsibility extends to being a figurehead and inspiration for future generations of autochthonous footballers. Football NZ doesn't keep statistics on how many Maori play the sport but indigenous players, female and male, make up around 22 per cent of the country's elite teams. In recent international squads Leo Bertos, Rory Fallon, Jeremy Christie and Reid have Maori whakapapa. Winston says he's always felt a strong connection with New Zealand and his Maori ancestry; he affiliates to Tainui through his father and to Te Rarawa through his mother. "If I can help other young Maori players to start off in soccer, that could be good," Reid states, going on to say that it is one of the reasons he always felt New Zealand was a better place for him to continue his sporting career. "Sometimes you have to follow your heart and your gut. There were other young kids ahead of me for the Danish team but I really wanted to play for New Zealand because I felt more like a Kiwi than a Dane. And my New Zealand family get to see more of me." Like back in Takapuna where Joe Boyle reveals Reid returned a few years ago on holiday and asked whether he could have a kick-about with his old mates. "It was in the middle of winter and we played in a mud heap," smiles Boyle at the recollection. "He didn't really stand out because he was trying to pass the ball and it kept getting stuck in the mud or his team-mates did not anticipate what he was doing. But you could easily see that his game had gone to a higher level." If Reid is excited about the opportunity to return home next month, then Supporters from across Australasia are also relishing the chance to catch the Hammers in action, with capacity crowds expected for the fixtures with the Phoenix at Eden Park on 23 July and Sydney FC at Westpac Stadium on 26 July. The centre-back praised the Phoenix for enticing West Ham and Newcastle United to become the first English top-flight clubs to visit New Zealand in 29 years. "I've known about the trip for a while," he revealed. "There were a couple of representatives from the Phoenix here [in London] recently and I had a meeting with them where they talked about the interest in bringing the Club down. I thought it sounded exciting and fair play to them, they've done a lot to make it happen and I think the guys are looking forward to it." Reid is also looking forward to having some company on his flight home for once. "The plane is going to be a little more crowded than it usually is," Reid said. "First and foremost, it's going to be good for the public down there to see a couple of good quality teams. It will be good for our squad as well to get out of our normal environment. We're travelling a little bit further abroad than usual and it will be good for the lads to see a country they would perhaps never go to otherwise." Reid and his West Ham team-mates are used to spending their pre-season camps training in hot and sweaty conditions, but conditions in New Zealand are set to be a much cooler. Average July temperatures in Auckland and Wellington are just 11C (52F) and 10C (49F) respectively, meaning the Hammers are more likely to putting on tracksuits than sun cream! However, Reid is remaining optimistic about the weather conditions that await him and his colleagues during what is, first and foremost, a week aimed at getting them fit and sharp ahead of the 2014/15 Barclays Premier League campaign. "Hopefully the weather will be alright in July!" he continued. "I know it will be winter down there, but Auckland is a beautiful city and all the people in New Zealand are very friendly, so I think it'll be ten days of enjoyment, while obviously we'll be working hard in our pre-season. We're going down there for hard work." And with that he muses upon his own personal journey one last time. "Y’know, footballers are very privileged. I do one of life’s most amazing jobs, where you get to go out and do what you really want to do: to get on a pitch and kick a ball around. Most people aren’t able to do that. That’s what motivates me and makes me happy." Future West Ham captain right there. I think Winston is my favourite current player and one that makes me proud to see wearing the shirt. Great piece of writing again. The club website should give you a job! He should be the cornerstone of our defence for years so the board better get started on contract talks soon. It would be madness if we let him leave for a reduced fee or even walk away for nothing in a year. Nothing would surprise me though. Cheers for another interesting read. It made me realize that the guy's been here for over three seasons and I knew virtually nothing about him! A brilliant article. I've learnt more about Winston from this one article than from anything else written over the last 3 years. I agree with others, the 2 Davids should sort his contact out asap.